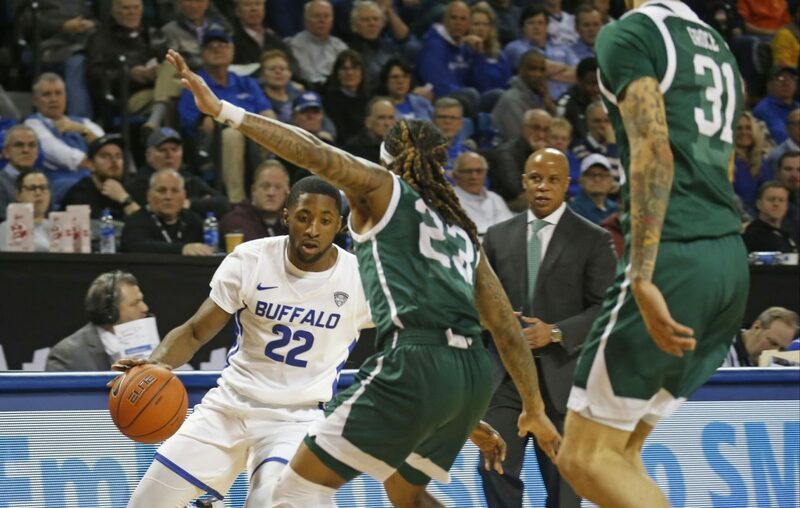 The University at Buffalo men's basketball fell four places to No. 18 in the Associated Press rankings released Monday. UB (18-2) received 468 points and is 64 points behind No. No. 17 Purdue and 53 ahead of No. 19 LSU. UB has been ranked for 12 consecutive weeks, setting a record for a Mid-American Conference team. The Bulls lost at Northern Illinois, 77-75, last Tuesday and then rebounded with an 88-79 victory at Kent State. UB hosts Ball State on Tuesday at Alumni Arena before a showdown at Mid-American Conference East co-leader Bowling Green on Friday night. UB dropped three spots in the USA TODAY Coaches Poll to No. 17 with 241 points. Louisville is No. 16 with 255 and Purdue is No. 18 with 203. UB is No. 20 in the latest NET rankings through Sunday's game. UB's eight true road wins continue to be the most among teams in the NET's top 50.